This study focuses on a rain garden on Villanova University’s campus, commonly referred to as the Bioinfiltration Traffic Island (BTI). This site has been studied extensively since its construction in 2001; the work presented in this thesis seeks to bring this knowledge together to complete the hydrologic budget. While inflow and overflow estimations have been verified and provide total removal volumes, less is known about how much inflow is removed through the recharge and evapotranspiration processes. Past studies at the site have found that storms over 18 mm (0.71 in) produce a groundwater mound directly below the rain garden. By investigating the groundwater mounding further, this study estimates the recharge volume within the mound using the Water Table Fluctuation (WTF) method for various events. The data collected from observation wells, soil moisture meters, a weather station, and water level sensors are used for these calculations. Evapotranspiration is then estimated for these events by subtracting the recharge and overflow volumes from the inflow. Linear relationships have been developed comparing the recharge and evapotranspiration estimates to the rainfall totals and inflow volumes. A numerical model has also been considered to expand on the data available but has not been developed past the one-dimensional stage. It has been observed that potential evapotranspiration volumes are consistently higher than recharge for the events studied. These observations can be applied to the future design of rain gardens to promote evapotranspiration and reduce pollutant loading to the groundwater table. Megan Farnsworth, EIT is a Water Resources Engineer with AECOM in Conshohocken, PA. She completed her Masters of Science in Civil Engineering at Villanova University in 2017. During her graduate studies, she performed research with the Villanova Urban Stormwater Partnership. Her thesis, titled "The Investigation of the Hydrologic Budget within a Rain Garden", proposes a method to estimate evapotranspiration and recharge volumes in rain gardens. Bio: Megan Farnsworth, EIT is a Water Resources Engineer with AECOM in Conshohocken, PA. She completed her Masters of Science in Civil Engineering at Villanova University in 2017. During her graduate studies, she performed research with the Villanova Urban Stormwater Partnership. Her thesis, titled "The Investigation of the Hydrologic Budget within a Rain Garden", proposes a method to estimate evapotranspiration and recharge volumes in rain gardens. Dr. Robert G. Traver has been a member of the Water Resources Program at Villanova since 1988. He is the Daylor Chair in Civil Engineering, and he currently serves as Director the Villanova Center for Resielent Water Systems. While at Villanova Dr. Traver has conducted research on topics that include modeling of stream hydraulics, urban hydrology, water quality, and measures to mitigate stormwater effects of urbanization. He has been the main force in creating a Stormwater Green Infrastructure Demonstration and Research Park on the Villanova Campus, and founded the Villanova Urban Stormwater Partnership. Many highly cited publications have resulted from the faculty and students through this initiative. Dr Traver believes that research supports and enhances the undergraduate and graduate educational experience. Dr. Traver is a registered professional engineer, a fellow of the American Society of Civil Engineering (ASCE), and a Diplomate of the American Academy of Water Resource Engineers which he served as president. In 2007 he received the Outstanding Civilian Service Medal from the Commanding General of the Unites States Corps of Engineers for his work on ASCE’s External Review Panel (ERP) of the Corps investigation of Hurricane Katrina and in 2014 was honored as the ASCE William H. Wisley American Civil Engineer Award “recognized for his leadership of ASCE’s Task Committee on Flood Safety Policies and Practices and editor of the Committee’s report, Flood Risk Management: Call for a National Strategy.” He was a committee member of the National Research Council Committee that authored “Urban Stormwater Management in the United States” (2009). He continues to serve the profession as an associate editor of the ASCE Journal Sustainable Water in the Build Environment which he helped to create. Bio: Dr. Robert G. Traver has been a member of the Water Resources Program at Villanova since 1988. He is the Daylor Chair in Civil Engineering, and he currently serves as Director the Villanova Center for Resielent Water Systems. While at Villanova Dr. Traver has conducted research on topics that include modeling of stream hydraulics, urban hydrology, water quality, and measures to mitigate stormwater effects of urbanization. He has been the main force in creating a Stormwater Green Infrastructure Demonstration and Research Park on the Villanova Campus, and founded the Villanova Urban Stormwater Partnership. Many highly cited publications have resulted from the faculty and students through this initiative. Dr Traver believes that research supports and enhances the undergraduate and graduate educational experience. 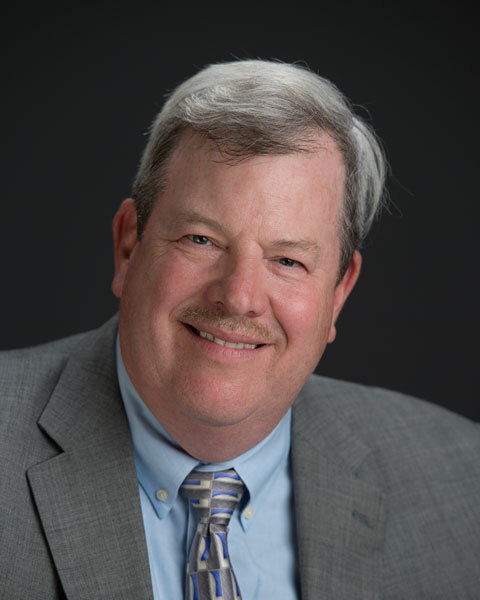 Dr. Traver is a registered professional engineer, a fellow of the American Society of Civil Engineering (ASCE), and a Diplomate of the American Academy of Water Resource Engineers which he served as president. In 2007 he received the Outstanding Civilian Service Medal from the Commanding General of the Unites States Corps of Engineers for his work on ASCE’s External Review Panel (ERP) of the Corps investigation of Hurricane Katrina and in 2014 was honored as the ASCE William H. Wisley American Civil Engineer Award “recognized for his leadership of ASCE’s Task Committee on Flood Safety Policies and Practices and editor of the Committee’s report, Flood Risk Management: Call for a National Strategy.” He was a committee member of the National Research Council Committee that authored “Urban Stormwater Management in the United States” (2009). He continues to serve the profession as an associate editor of the ASCE Journal Sustainable Water in the Build Environment which he helped to create.